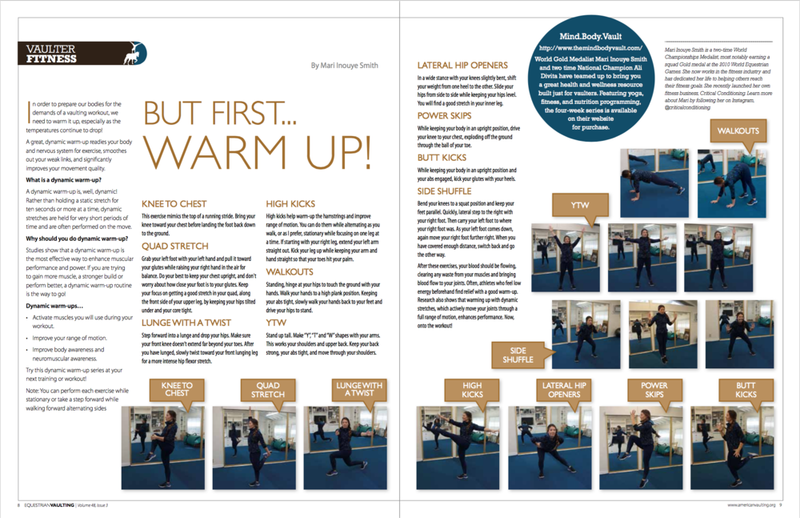 Check out Mari and Ali in action in some of these featured publications within the Equestrian World! In their newly launched online learning center, US Equestrian brings together the biggest names in US Equestrian Sport, allowing champions and experts to become your virtual guides in their equine related video tutorials. You can get an intro to cross country riding with David O Connor, tips on riding spooky horses with Laura Graves and of course Fitness and Yoga with Mari Inouye and Alicen Divita, yours truly of Mind.Body.Vault! 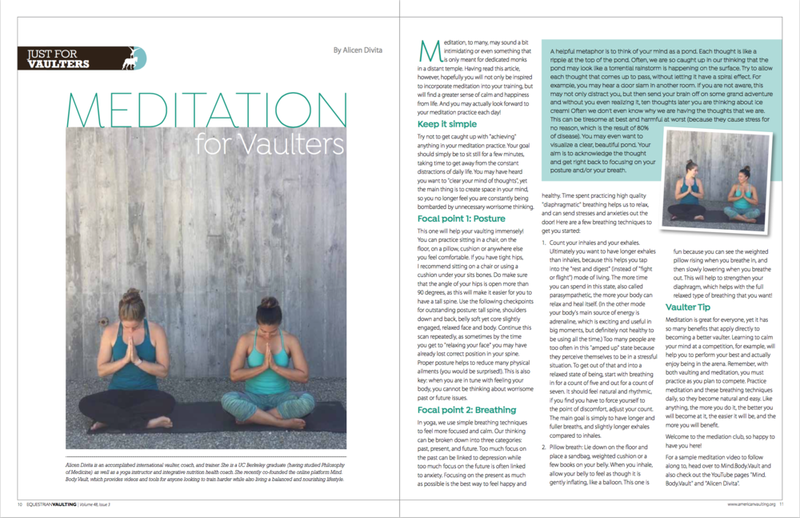 Check out these fun articles featured in Equestrian Vaulting Magazine, including Fitness and Yoga guides for vaulters across the country. Ali and Mari collaborated with Joan to produce an episode devoted to fitness with the trainers and riders at Coastal Dressage. Check it out here!